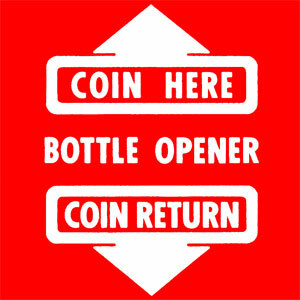 COIN HERE BOTTLE OPENER and COIN RETURN decals for Vendorlator VMC-27, Dual 27, VMC-33-3D VMC-72 and others. Die cut vinyl decals. WHITE decals for Pepsi machines. 3 decals in set.